Disclosures in California revealed this week that a bevy of toxic, cancer-linked chemicals in fracking wastewater are routinely injected back into the ground. State regulators of the oil and gas industry, meanwhile, admitted to substandard oversight. More than a year after California’s unprecedented law requiring transparency over contents of hydraulic fracturing -- or fracking -- wastewater, a new report by the Environmental Working Group showed that the state has allowed a variety of carcinogenic chemicals to be pumped back into the ground after use, thereby freeing oil and gas deposits. The report – ‘Toxic Stew: What’s in Fracking Wastewater’ – stemmed from the state’s 2013 disclosure law which mandates the comprehensive testing and public release of the chemicals in drilling wastewater. The oil and gas industry has fought hard – with cover from government regulators like the US Environmental Protection Agency (EPA) and California’s own Division of Oil, Gas and Geothermal Resources – to obfuscate and conceal what it injects into the Earth. “Petroleum chemicals, heavy metals and radioactive elements, plus high levels of dissolved solids, are among the pollutants found in fracking wastewater samples tested under the new disclosure program,” the Environmental Working Group wrote. 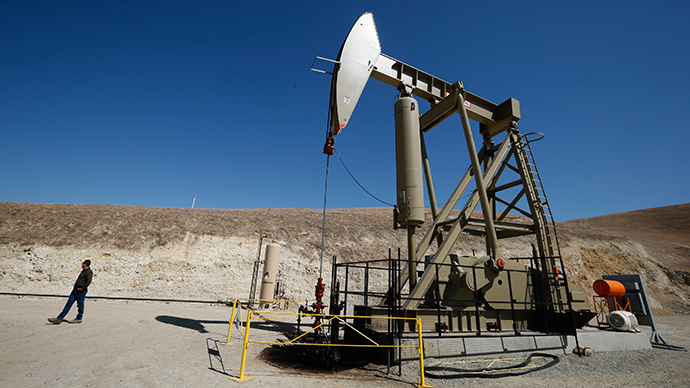 State officials have said there is “no evidence to date that California aquifers currently used for drinking water have been contaminated by fracking chemicals,” the Environmental Working Group wrote. Yet, in October, the state found that the oil and gas industry had illegally injected about three billion gallons of fracking wastewater into central California drinking water and farm irrigation aquifers. Last week, the state ordered a halt to drilling at 12 wastewater injection wells in California’s Central Valley "out of an abundance of caution for public health,” said Steve Bohlen, head of the state Division of Oil, Gas and Geothermal Resources. The state has shut down 23 of the hundreds of injection wells located in aquifers that are not approved for wastewater, the Los Angeles Times reported. To unleash oil or natural gas from shale or other areas, the fracking process requires blasting large volumes of highly pressurized water, sand, and other chemicals into layers of rock. Once used, toxic fracking wastewater is then either stored in deep underground wells, disposed of in open pits for evaporation, sprayed into waste fields, or used over again. Critics -- including the US Government Accountability Office -- have long contended that the EPA has been soft on the industry because they believe the agency is reluctant to stand in the way of what has quickly become a very profitable business model amid the oil and gas boom in North America. California’s Division of Oil, Gas and Geothermal Resources, meanwhile, took a grilling this week in Sacramento, as a Senate panel lambasted the agency for failing to adequately protect drinking water from oil and gas development, among other “endemic” shortcomings. "There has been a serious imbalance between the role regulating the oil and gas industry and the role of protecting the public," said Sen. Hannah-Beth Jackson of Santa Barbara, according to the Los Angeles Times. Officials from the Division of Oil, Gas and Geothermal Resources (DOGGR) admitted that the agency had for years allowed for the breaking of federal law when companies injected fracking and other wastewater into hundreds of disposal wells within protected aquifers. The DOGGR officials blamed past errors on inconsistent record-keeping and outdated data collection. Last month, it was reported that California officials permitted oil and gas companies to dispose of waste and other fluids into aquifers containing drinking and irrigation water more than 2,500 times. Significantly, 46 percent of these permits were authorized within the last four years – the same timeframe during which the EPA warned California that regulators were not sufficiently protecting underground water reserves in the drought-stricken state. State regulators subsequently offered the EPA a new plan that detailed how California would change its permit approval process. The plan also addresses how the state would confront contamination risks. Steve Bohlen, the head of DOGGR, said last month that 140 of the affected injection sites were actively pumping waste into aquifers holding good quality water. In July 2014, seven companies were hit with cease and desist letters in California after 11 wastewater injection sites were shut down over contamination concerns. Despite popular support, a moratorium on fracking in the state was killed in the California Senate last May. The oil industry spent nearly $1.5 million in three months fighting the bill. California is the third-largest oil producing state in the US, but it’s also in its fourth year of a severe drought, highlighting the need to keep its water reserves safe.